The last two weekends have been frenetic. Law Without Walls is back in town, now in two forms. To our original form we've added LWOWX. 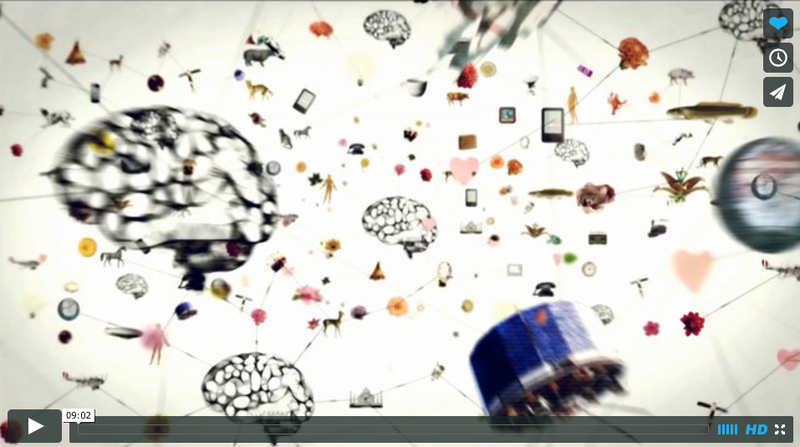 LWOW X is an all-virtual pilot program for 2014. It offers the same components and benefits as the original LawWithoutWalls offering, only it does so completely on-line. It is an attempt to scale and expand our current LawWithoutWalls offering to more students from more places, irrespective of financial situation and school status. Further, it is an attempt to create an all-virtual, synchronous learning experience that applies rhizomatic education to develop a sense of community as robust as that achieved through in-person interaction. We were frenetic because we had two KickOffs, one for LWOW and one for LWOWX. I've written about LWOW before, here, here and here, so I'll focus on LWOWX. The point of the KickOff is for all the participants to come together, get to know each other, have fun, learn new skills (networking from Kevin Doolan, self-assessment from Nora Bergman), and begin to function as teams. It's intensive. For two days we started at noon and worked through to 8pm. See our schedule here. The UCL cohort of LWOWX, which I'm advising along with Anna Donovan, decided to meet at UCL for the virtual KickOff. So although we were in close proximity we attended via our online personas. For the first occasion it was good because we could support each other. Our participants came from China, Iceland, the US (west and east coasts) and Europe. We ignored time zones. The brute fact was that we had to learn in real time how to do this. Despite the planning and preparation it works as you do it. By the end there was a real sense of accomplishment and achievement felt by all. We did it; we made it. And to celebrate that I invite you to click through to Jon Harman's video at the top of the page made to the Wayseer Manifesto single. In a sense we were way seers in this new version of Law Without Walls X.
PS. A special shout out to Eversheds for supporting LWOW and also to Barclays who are supporting two student participants from the University of East London. 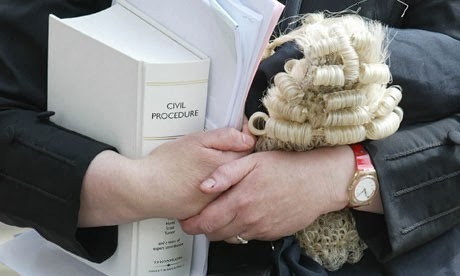 The Future of Legal Education: Are Legal Apprenticeships the Answer? I've published an article in the Guardian on legal apprenticeships which you can find here. Short version: I think they're a good thing. Nice little infographic here looking at various felonious activities. My colleague, Danny Nicol, the Doctor in the centre, is giving a talk and screening a 1969 episode--The War Games--of Doctor Who. It's taking place on January 22 between 1400 and 1600 in Little Titchfield Street Room 2.01. All are welcome. This talk is a precursor to a big symposium on Doctor Who being held in September 2014. Again, more information on this major event is here. 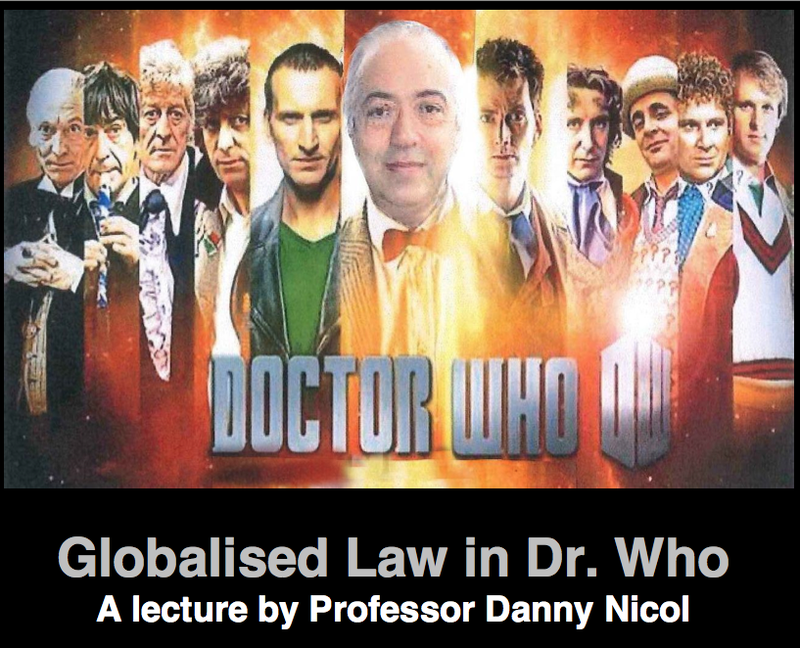 Danny has been interested in the legal and constitutional aspects of Doctor Who for some time now. See his post on the UK Constitutional Blog here. He has also started his own blog on the topic, Politics and Law of Doctor Who.